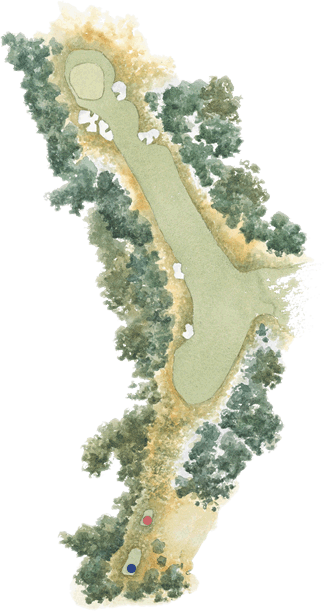 The eleventh is a long par four that goes downhill then swings uphill from right to left. The ideal place to drive is the left corner of the driving area which is protected by bunkers and tea-tree. Those playing safely to the right will need an exceptional second shot to find the putting surface. The Royal Melbourne Golf Club Inc.
© The Royal Melbourne Golf Club Inc.